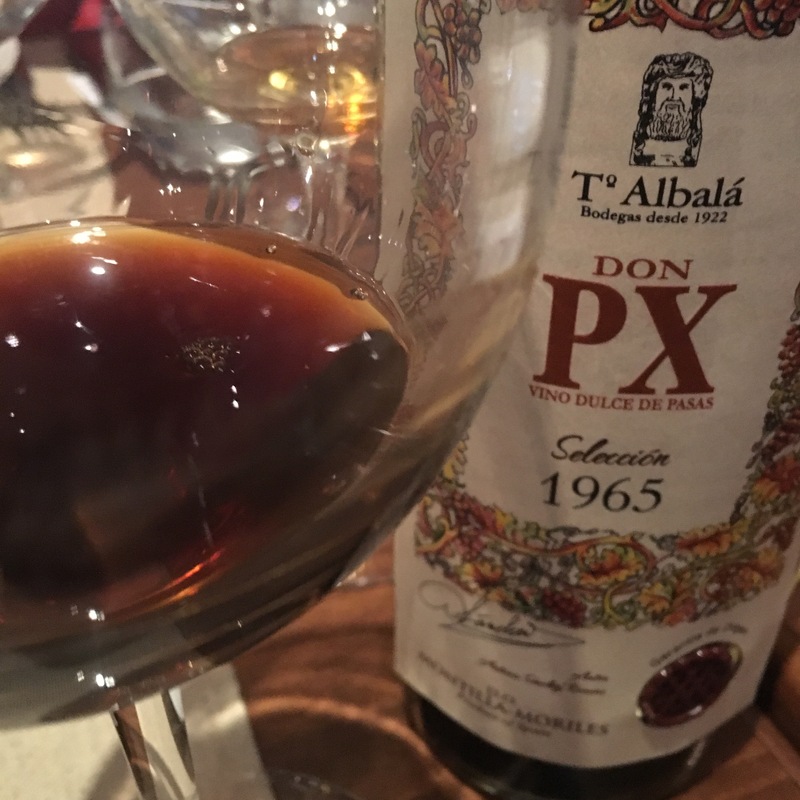 Second wine of a fantastic tasting was this 1965 Don PX Selección. Again a single añada wine, again 100% pedro ximenez, but this time a sweet wine with I can’t imagine how much sugar per litre. And of course it was a mere 51 years old (I now realize I didn’t take note of when these were bottled). I am really going to struggle to describe the colours of these because I can only think of so many words for brown. Anyway, on this occasion there is a pretty good photo. There was a bit of chat about curry but someone called a far better descriptor: the fried tomato preparation they sell around here (with maybe a bit of cloves)and of course raisin. The palate was pretty amazing. The cloves were there again with orange peel, an almost tangible acidity, pepper, and really evident minerals. It also had a fantastic savoury zing and chalkiness to it – real saltiness that made for a refreshing finish.